Home / News / Is Canada going to tax the internet to pay musicians more? Is Canada going to tax the internet to pay musicians more? 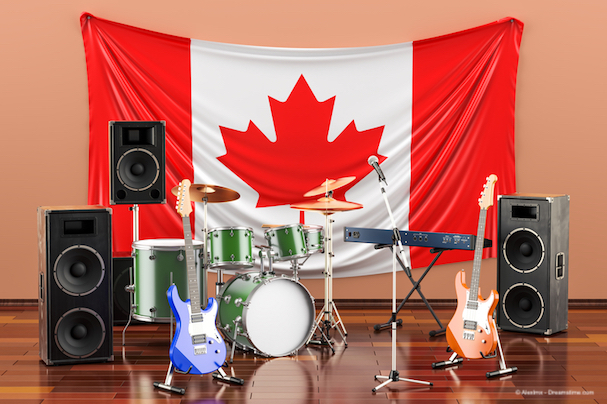 There is an ongoing public debate in Canada about copyright protection and how to compensate musicians, film producers and other content creators for perceived lost revenue as a result of online piracy. In principle, that all sounds very reasonable, but one stakeholder in the debate has made a highly controversial proposal; a tax on internet use. The suggestion has come from the Screen Composers Guild of Canada (SCGC), a trade association for musicians for movies and TV shows. It was made during a Government hearing on the issue held last week. The SCGC proposal was that a levy should be added onto all internet use of 15GB per month or above. Their justification for this is tenuous at best. According to the SCGC, the composers they represent are losing out on public performance royalties because online streaming means people are not watching their content through conventional means as much. These are not high profile music stars, but everyday musicians who work mainly on TV and film scores. They claim that because royalties from online platforms are much lower, payment received by their members are down between 50% and 95% when compared to traditional broadcasting on terrestrial TV networks. The SCGC argues that this sharp decline means that young people will no longer consider moving into screen-composition as a profession while older members may have to look for work elsewhere. The argument is that a tax on the internet could fill this ‘value gap’ and protect their members and their profession. As a trade association, the SCGC obviously needs to try and protect the best interests of their members. But this suggestion is clearly completely out of step with reality. The crux of this issue seems to be that the SCGC feels that online platforms like YouTube and Netflix are not paying sufficient royalties on the shows and movies they stream and, as a result, the creatives behind that content are losing out. The SCGC argues that if you are using more than 15GB a month then, in all likelihood, you are using a streaming service. Now, it is easy to have some sympathy for the SCGC over the impact streaming is having on their members. But what they want to do is impose a sweeping tax on all Canadians because they can’t reach a satisfactory licensing agreement with the likes of Netflix and YouTube. Under their suggestion, everyone using more than 15GB a month would have to pay, regardless of whether you were actually streaming content or not. Rather than seek to negotiate a better deal with streaming platforms or modernize their industry to react to the changing ways that people are accessing media content, the SCGC is suggestion a reactionary tax to fund their membership. According to one Canadian law professor, who first made the proposals public, the suggested tax would also mean customers having to pay twice for the same content. Writing on his blog, Michael Geist points out that users would also be paying to access content by subscribing to Netflix or other services and then paying again to stream that content over the internet. Despite the inherent flaws in their suggestion, the SCGC seems committed to the idea. Whether the Canadian government will see any merit in it remains unclear, but if it were to be implemented, the likely result is most internet users across Canada paying tax to fund the lives of a handful of screen composers. Internet taxes are always hugely controversial even when implemented in dictatorships like Uganda. For a developed democracy like Canada to implement one seems almost unthinkable, but you just never know. If such a tax to proceed, the likelihood is that there would be a significant public backlash. Many internet users would also turn to a VPN such as ExpressVPN or IPVanish to try and evade the tax by masking their online activity and routing everything through an overseas server. As a result, the SCGC wouldn’t make much money from the tax, but the internet would still be more expensive for many people. It’s a lose-lose situation, whichever way you look at it.